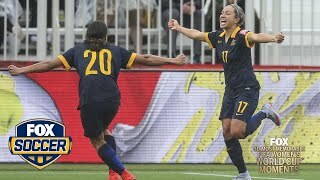 The 2019 Copa América tournament begins June 14, 2019. 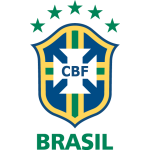 12 teams particiate with host nation Brazil listed as the tournament favorite. Having been tipped as one of the favorites of the upcoming FIFA World Cup in Russia, Brazil will aim at clinching their sixth World Cup trophy. There was initial scare of the star of the side Neymar Jr. missing out on the impending tournament. However, he has made great headway in his recuperation and the talismanic forward will certainly make a bow at the summer's tournament. He is set to feature alongside the likes of Willian, Douglas Costa, Philippe Coutinho, Roberto Firmino, and Gabriel Jesus for the Seleccao in attack. After enduring a humiliating defeat against Germany in Last 8 stage of the World Cup in their own backyard back in 2014, Tite's men will aim at restoring their country's pride which sank along with the 7-1 defeat at Belo Horizonte. Progression into the Round of 16 shouldn't be much of a tussle although fellow Group E members in the likes of Costa Rica, Switzerland, and Mexico have the potential to make life very uncomfortable for the five-time world champions. After enjoying a sensational campaign for Manchester City, despite being out with an injury at the earlier stage of the league season, Gabriel Jesus deserved got a call-up to feature in Russia. The 21-year-old forward started played a total of 29 league games for the Premier League champions and finished off with a goal tally of 13 after 19 starts. His resourcefulness was also rehashed in the World Cup qualification phase for Brazil where he amassed seven goals in 10 outings. Fagner, Geromel, Fred, and Taison are also among the new kids on the block. Marcelo, Thiago Silva, and Miranda will, once again, be at the helm of affairs for Brazil at the back with their experience and leadership attributes. Barcelona midfielder Paulinho has also been named in the squad to make the trip to Brazil. PSG star Dani Alves leads the list of notable absentees in the Brazil squad for the upcoming intercontinental tournament. The defender was recently ruled out of the World Cup after picking up a knee injury in the Coupe de France final. Juventus' Alex Sandro and Chelsea's David Luiz, and Shanghai SIPG's Oscar were all left out of the shortlist as well.